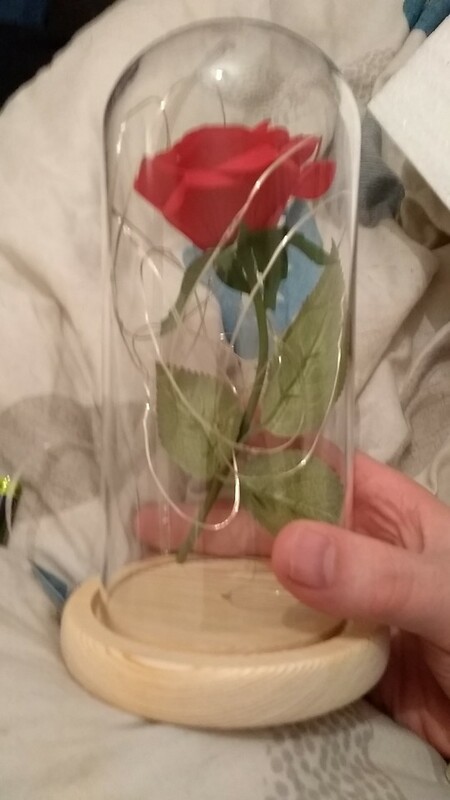 Remember Beauty and the Beast when Belle found the red rose in a crystal dome? This Enchanted Rose Lamp relives that wonderful memory of your childhood movie. It is timeless and gorgeous. The lamp is powered by 3xAAA batteries (NOT included in the package), and LED lights are durable. The base is wooden with a glass dome. Size is 11.4 x 22 cm. 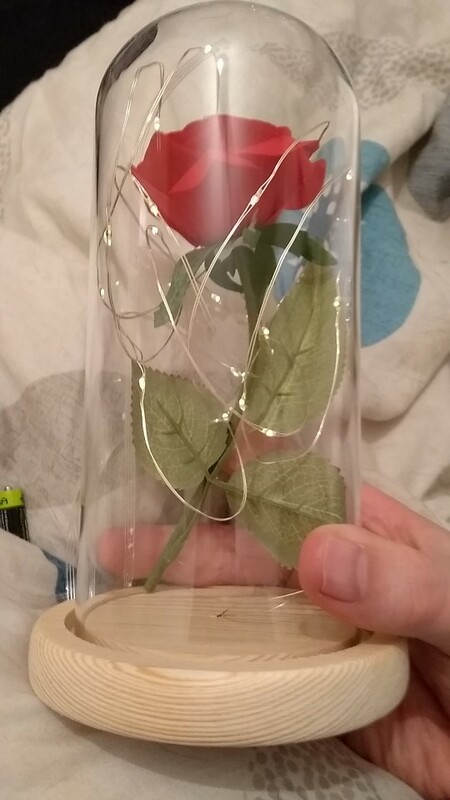 Get this Enchanted Rose Lamp at 50% OFF now, offer for a limited time only. Order delivered, for 3 weeks. All as the picture. Thank You Very Much.